LATAKIA: AND NOW THE NEW CAMPAIGN IN LATAKIA! 300+ NUSRA RATS KILLED; SALMAA LIBERATED; AL-RUBAY'AH LIBERATED! A combination of the Syrian Army, the Popular Defense Committees, the Ansaar Sooriyyaa, HZB and the PPSS overwhelmed mostly trapped terrorist murderers in the town of Salmaa as an uninterrupted corridor has now been established between Jubb Al-Ahmar and the entire Jabal Al-Akraad area. Do not minimize the significance of this. Its significance lies in the planning for the liberation of Jisr Al-Shughoor and other areas in the Ghaab Valley. Look at the map and scroll around until you find the Ghaab to the east, then, look hard at how roads lead through Hallooz and Ghassaaniyya, for example, straight down to the infested city. With a huge army already positioned to the south of Jisr Al-Shughoor, there will be no escape for ‘Abdullah Al-Muhaysini whose burning death has been guaranteed to me by my sources. No rat has deserved this end more than the Saudi rodent-monkey who falsely claims to be some “daa’iya”. I assume he has his cyanide pill close at hand – he will need it. All of the 300 rodents killed in the area of both Salmaa and Al-Rubay’ah were Chechens, Turks and Tunisians. Wael writes that scores of rodents were seen changing their clothes as they escaped into the bush in the direction of the terrorist-state of Turkey. DAYR EL-ZOR: 18 ISIS TERRORISTS KILLED BY SAA AND LOCAL FORCES. Another 15 could not be identified and were believed to be foreign. Umm Sharshooh: Units of the Syrian Army targeted a warehouse filled with weapons in the northern rural area of Homs Province today destroying everything inside. No other details available as the campaign in northern Homs continues unabated with Russian and Syrian aircraft controlling the skies. I cannot confirm but Al-Hadler (southern Aleppo) seems to have fallen to the SAA. That would be an enormous blow. True about the news that the 4th Armoured division has anti TOW rocket defense (Leith)? If true the ICARDA building and M5 is in range. Massive. Syria yes! The ‘Great Satan’ no! Anyone know why the maps always show my gps location instead of the map in Syria on my iPad? Yeah, you can´t mistake those on Mrs. Fadel´s photo as anything but typical Syrians, can you? Go Syrian people, go Syrian Army, God/Allah bless you all. All realy free people look at you and hope for you that you will prevail this evil, never seen since medieval time. Hezbollah spearhead reached Al-Hadher in latest south Aleppo offensive. Apart from the incredible advances made all over, you gotta love the progress being made in parts of the Golan Heights, now that Russia has kept that terrorist State in check, those Cockroaches cannot get help any more when their arse’s are being kicked. What’s not to like? God is happy today, Thank You Ziad. Latest SAA offensive, looks like Stalingrad, beginning of the tide that ended up in Berlin. Dear Ziad, since you answering here – I want you to feel the joy! Pure joy to feel the pain of this russophobic warmongering corporate faschist! Tapir can carry up to 20 tanks or 40 other lighter vehicles. It is clear from the map how far the jihadists penetrated into Latakia–pretty scary. Even with the outside Russian and Iranian and HZB help, it will be a very tough fight. But, the SAA has the advantage and while it and its allies enjoy uncontested air superiorty, now is the time to go all out, whatever the cost. In a long stalemate, in which both sides are exhausted (yes, the jihadists are psychologically exhausted despite ther fanatacism), it doesn’t take much for an advantage to turn ithe entire batelfield into a rout. FHTEX,SAA and Coalition forces have advanced since then. Youre misreading the Map! Assad is a brilliant politician, (lucky Siria) more brilliant like Putin! The best of the bests i think is (was) HO CHI MINH! Dear Syrperians it is nearly Christmas buy me an Su34 they are super cool, maybe we should call them ” Syrper cool “. Sergei Lavrov and Oleg Syromolotov are not kidding, things are getting worse. This sounds like a serious threat from the Russian Federation. US Shocked To Find Russian Machine Gun With Iranian Ammo Attached To Abrams Tank!!!! Put yourself in the following situation for a moment. You’re a Sunni extremist and your regional and Western backers have just abandoned you. You are now under siege by the Russian Air Force. If you survive the air strikes you will soon have to come face to face with the fiercest, most experienced Shiite militia on the planet in Hezbollah. Would you cut off your beard and run? Tehran, SANA – Iranian Deputy Foreign Minister for Arab and African Affairs Hossein Amir Abdollahian said that Iran will increase its consultative support for Syria. In a statement on Saturday, Abdollahian said that Iran has military advisors for counter-terrorism in Syria and Iraq, and that they were sent there upon requests from the two countries’ governments, asserting that there are no Iranian combat troops in Syria. He asserted that Tehran doesn’t hide anything, and that it had announced that it sent consultants to Syria, adding that Iran will increase its consultative support for Syria. Strange story on Press TV site, Bush and Blair planned Iraq war in 2002 when Blair visited Bush with Queen’s approval (? ), Blair to act as PR man for war, was fooled into thinking Saddam had WMD. Revealed by FBI from Hilary Clinton’s emails!?! When lying murdering thieves come under pressure they turn each other in? A million dead, no healing in sight, yet after all maybe a silver (or golden) lining with Russia now coming in with modern force, US and UK going out! All things work for good in the eyes of God. The Syrian army launched a massive attack on the suburbs of Damascus, occupied by Islamists terrorists. Here’s a a very good video compilation with footage of Russian Jets and Choppers from different positions . 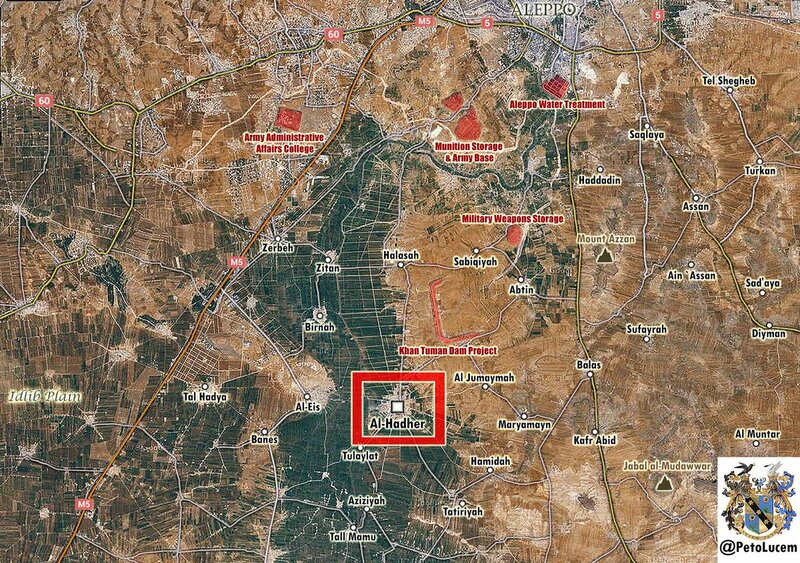 Also, there are some good house to house combat by the SAA. The final 4 minutes is of the Kurds awesomely trapping Cockroaches in a house. The panic and look on the their faces has to be seen. I’ve noticed YT won’t show me any recent uploads of the Russian Channels I subbed for war footage, I have to manually check them. Is anyone having the same problem? Destruction located in the province of Hama. Terrorists fortified underground bunkers and a network of tunnels, as well as a column of armoured vehicles. Also the destruction of the fortified area with underground bunker and tunnel network as well as hardware storage, refuelling and rearming terrorists in Hama. Includes the nicely done damage after Bunker busting. Precision strikes, guided aerial bombs KAB-500 in the province of Latakia, an outpost where terrorists equipped with heavy artillery positions, a pinpoint strike with KAB-500 guided bomb. Have Iranian troops actually participated in the ground yet? beside Hezbollah soldiers currently fighting in South Aleppo. Could someone give me some newest infomations or pictures, All I know is the image about Gen. Solemani and IRGC soldiers near Latkatia. Apologies if this has been posted, from Farsnews link below Scud missile attack on Khamis Mushait air base. 66 Saudi officers dead 300 wounded, 17 F15s and 9 Apache helis destroyed, wow.